Hi everyone! Been a while since I’ve posted anything, I haven’t dropped off the face of the earth I promise, have just been incredibly busy! I have a bazillion blog posts floating around in my head that I can hopefully get to posting sometime soon. For now, here’s a quick little product suggestion for you! A couple of months ago, I stumbled upon a service that sounded interesting and I’m super excited to share with you guys! If you’re anything like me, making healthy snack choices when you’re on the go constantly can be extremely difficult. 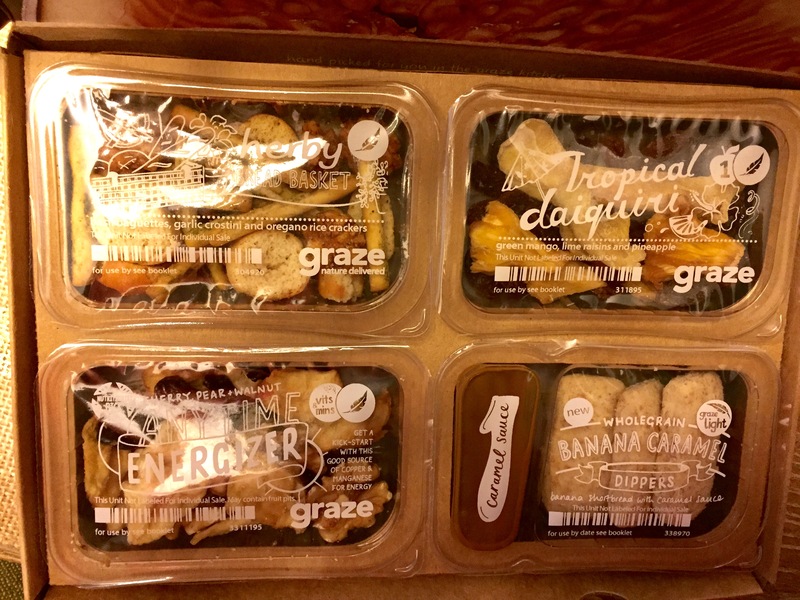 Enter Graze boxes… Graze is an awesome service that will send boxes of 4 individually packaged healthy snacks right to your door weekly or bi-weekly dependent on your preference. You can view their unique snack combos and rate them based on wether or not they sound like something you would like to try or not and they will appear in your mailbox soon afterwards. Don’t rule something out just because you’ve never tried it though. I have to say, there have been a few that sounded gross to me just by reading the description but ended up being pretty tasty. Don’t be afraid to try new things. If you hate them, you can trash it via your account preferences and they will never send that particular snack to you again. You can choose from 2 different types of boxes. A “nibble” box or a “calorie counter” box. The calorie counter box only includes snacks that have less than 150 calories each! You can even change your delivery options to skip a week if you’ll be out of town or something for instance. 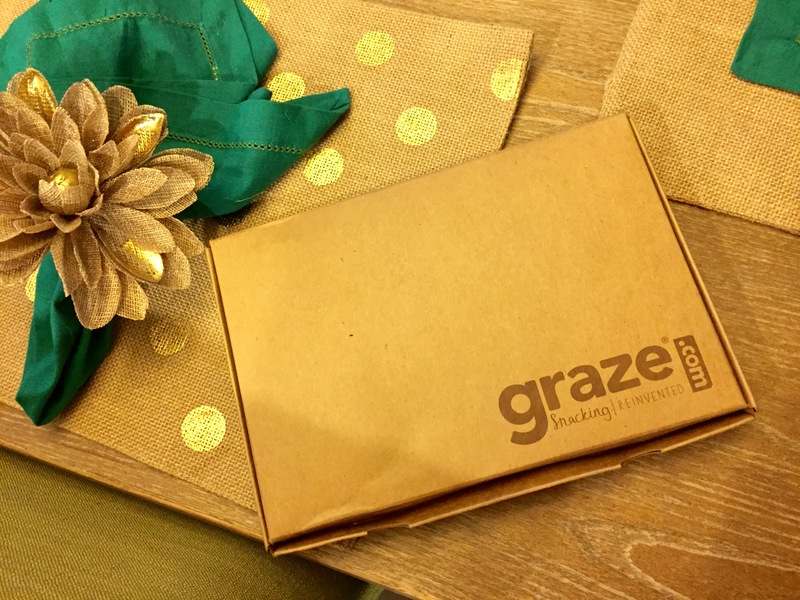 Your super cute graze box is small and thin so it fits in your mailbox easily. Open it up to find 4 individual snacks that are packaged for easy portability! 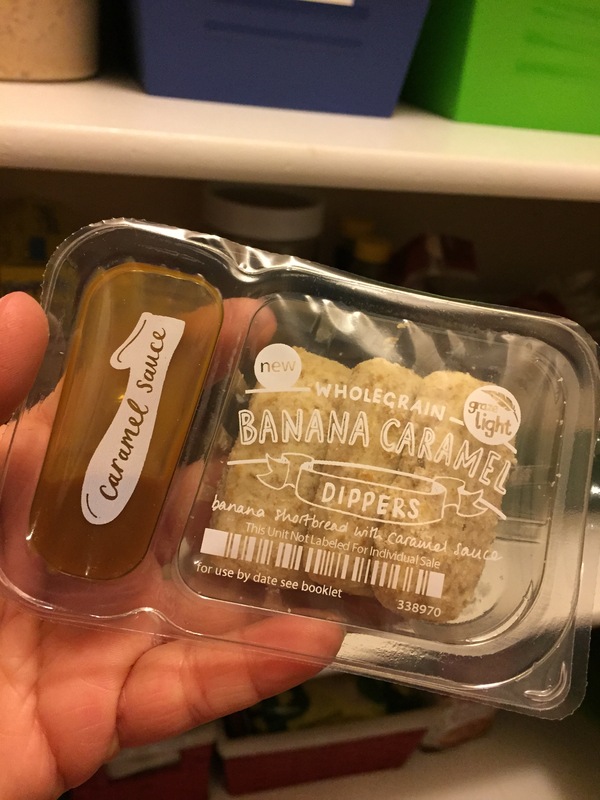 I keep a basket in my pantry and dump all my Graze snacks in it when they arrive so that I can grab one, toss it in my purse, and go with a healthy snack in tow while running errands. The boxes are $6.99 each and that includes shipping! You can cancel at anytime so there’s no obligation to continue the service if you don’t like it. If you enter this promo code: LORIAN7WB Graze will give you your 1st and 5th boxes for free! Your credit card will be charged weekly or bi-weekly for each subsequent box!